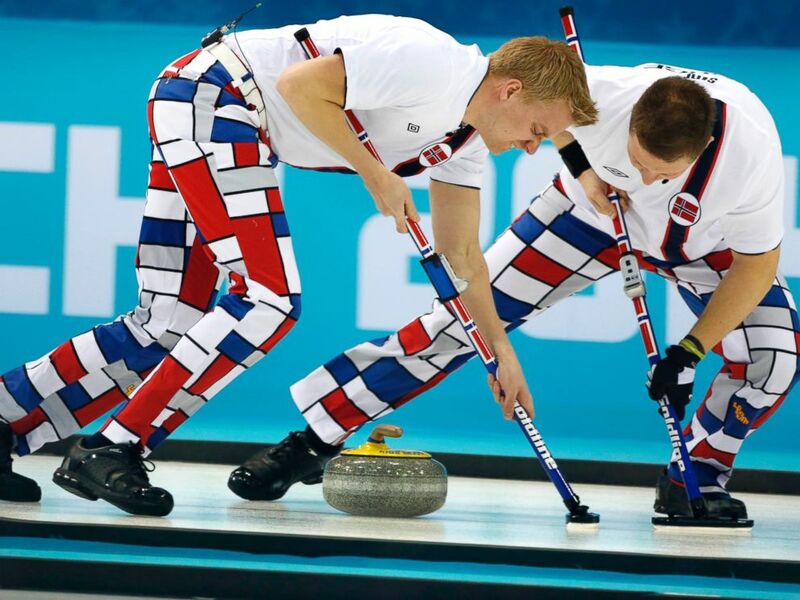 Norway’s curling pants are making an appearance at the 2018 PyeongChang Olympics. 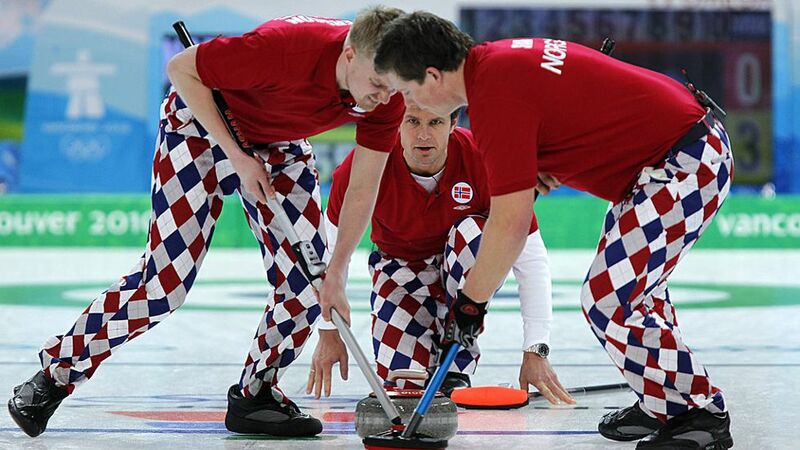 The Norway curling pants, and their multi-colored, checkered design, were initially a hit at the 2010 Olympics in Vancouver. The outfits developed a cult following during those Olympics; a Facebook page, Norwegian Olympic Curling Team’s Pants, swelled to more than 575,00o followers. Loudmouth, the company that makes the pants, saw a 40% increase in sales. The unsightly curling pants returned for the Sochi Olympics, but they didn’t help Norway as much as they did in Vancouver: Norway’s curling team won a silver medal in 2010, but did not bring home any hardware in Russia. So what do the Norway curling pants look like this time around? Loudmouth came up with a new design, dubbed “Icicles,” from the 2018 Olympics. Check them out below. Svae and teammates (from left to right, above) Haavard Peterson, Thomas Ulsrud, and Torger Nergaard have competed in the Loudmouth pants at the last two Olympics, and have qualified for PyeongChang. The Loudmouth sponsorship has helped fund the Norwegian curling team’s Olympic aspirations, and given the curlers some notoriety. “If I’m walking down a main street in Oslo wearing the Loudmouth pants, people say, ‘oh, that’s the curling guy,” says Svae. He sometimes even gets recognized in Canada, where curling is particularly popular, while wearing normal pants. What should fans expect from Norway’s curling team in South Korea? “We’re excited to play our hearts out,” says Svae. While blinding millions of viewers with their pants, once again.